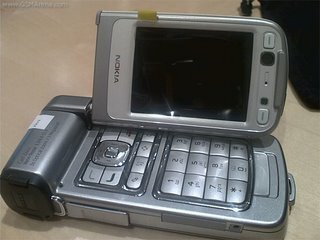 Nokia today introduced the Nokia N93, the ultimate mobile device for spontaneous video recording. Offering uncompromised digital camcorder, telephony and rich Internet communication functionalities, the Nokia N93 features a 3.2 megapixel camera with Carl Zeiss optics, DVD-like video capture and 3x optical zoom. 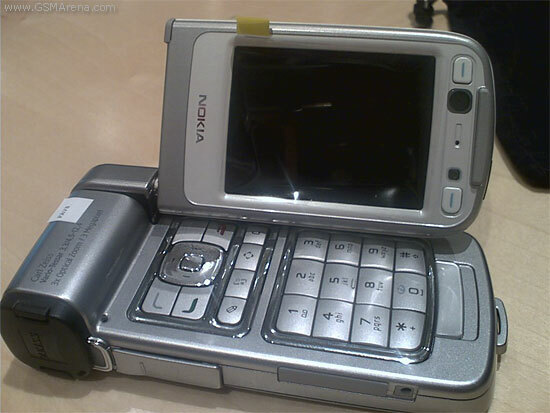 You can connect the Nokia N93 directly to your TV for a widescreen movie experience or upload your images and video to online albums or blogs. Moreover, you can create high-quality home movies and burn them to DVD with the included Adobe Premiere Elements 2.0 software. Part of the Nokia Nseries multimedia computer range, the Nokia N93 offers great functionality in one beautifully shaped connected device. Designed to work on WLAN, 3G (WCDMA 2100 MHz), EDGE and GSM (900/1800/1900 MHz) networks, the Nokia N93 provides broadband Internet access for browsing, uploading content, and sending and receiving emails, allowing you to stay connected on the move. You can also set the device on a surface, flip the display horizontally and use the landscape screen to browse the Web, watch TV* over 3G networks, or make hands-free video calls*.